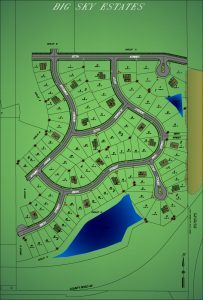 Key Land Homes offers new homes in Prior Lake – Savage MN in the amenity filled neighborhood of Big Sky Estates! Prior Lake – Savage is an 18.3-square-mile developing suburb with a small-town atmosphere directed by the 2030 Vision and Strategic Plan. The city’s 2008 population is estimated at 23,000, compared to the 16,000 estimated in the 2000 census. By 2030, it is projected that Prior Lake will be a fully-developed community of more than 40,000 residents. Big Sky Estates offers home buyers spacious homes in Prior Lake MN and is the perfect place for your growing family. Prior Lake features many recreational amenities including more than 50 parks on 900 acres, over 100 miles of trails and sidewalks and 14 lakes. Taken together, the parks and lakes offer a wide variety of outdoor opportunities for residents with a wide variety of interests. Golfing opportunities abound in the Prior Lake area with the Wild’s Golf Club, Legends Golf Club, Heritage Links Golf Club, Cleary Lake Golf Course and the Meadows at Mystic Lake Golf Course. Opportunities in commercial and industrial development are increasing due to growth and improved highway accessibility and upgrades. Contact LouAnn Dvorak at Key Land Homes today at (612) 756-6243 to inquire about available new homes in Savage MN at Big Sky Estates.